Norcada’s Nitride WIndows individually packaged in gel capsules for ease of handling. Norcada’s Nitride Windows are carefully cleaned to minimize contamination. 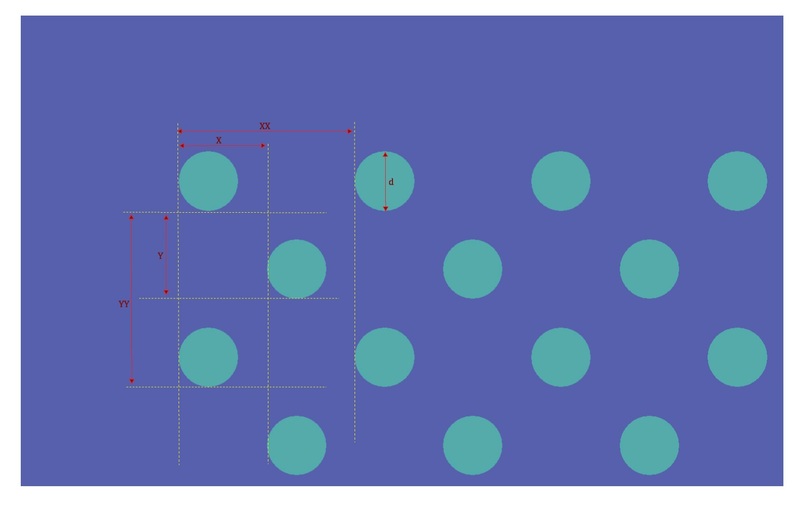 The micro-porous membranes on TEM grids (NH0 series) come with a range of different pore sizes arrayed on a square lattice with different spacing (pitch) for different designs. The hole array area is centered on the square membrane, and the membrane is centered on the frame of the standard TEM grid. The image below shows hole array for model NH050A1032 type micro porous membrane on TEM size grid. The nano-porous membranes on TEM grids (NH0 Series) come with a range of different pore sizes arrayed on a square lattice with different spacing (pitch) for different designs. The hole array is centered on the square membrane, and the membrane is centered on the frame of the standard TEM grid. The image below shows hole array for model NH005D05 type nano-porous membrane. Our standard holey silicon nitride membranes all have a single square membrane window centered on a 200µm (NX5 series) thickness square silicon frame. The membrane has a holey pattern with a regular pitch which vary from design to design. The silicon nitride membrane is fabricated with low stress (<250MPa) silicon nitride and is very robust. All of our silicon nitride membrane window devices are packaged individually in gel capsules. PLEASE CLICK HERE to order above standard products. Our standard nano-porous silicon nitride membranes have a single square membrane window centered on a 200µm (NH5 series) thickness square silicon frame. The membrane has a holey pattern with a regular pitch on a square lattice. The silicon nitride membrane is fabricated with low stress (<250MPa) silicon nitride and is very robust. All of our silicon nitride membrane window devices are packaged individually in gel capsules. The image below shows hole array for model NX5050DH0.5 (Old PN:NH5050D055-400-11) nano-porous membrane. Norcada also provides fabrication of custom designed Holey SiN membrane windows to meet our customer’s specific requirements. Such fabrication services include non-standard sizes, thinner membranes, multi-window arrays, and windows with patterned electrodes. Please contact us if you require custom fabrication. 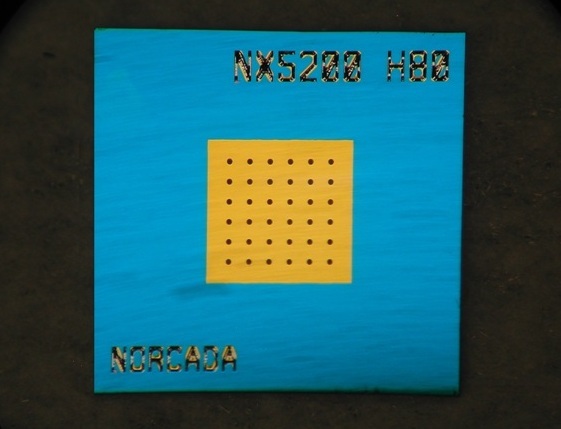 Norcada warrants the quality of its products and will replace any device deemed unusable due to fabrication defects within 90 days of purchase.